(You must place the top 3 cards of your deck in your Drop Area to activate this skill.) 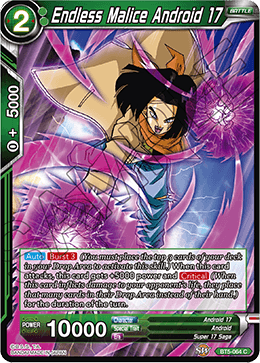 When this card attacks, this card gets +5000 power and (When this card inflicts damage to your opponent's life, they place that many cards in their Drop Area instead of their hand.) for the duration of the turn.